There is a saying that "Megève was created for skiing and skiing invented for Megève". Here, everything contributes to the legend and prestige. Having taken off in the early XXth Century at the instigation of the Rothschild family, this classically French top spot for winter sports has also developed a multi-faceted economic dynamism to become the uncontested international showcase of the Alps. An hour and a half from Annecy and two hours from Lyon, the village can be proud of its intact architectural heritage, which plays as large a part in its success as its 445 km of ski slopes. Authenticity and spectacular scenery, celebrated local products on the menu at three Michelin-starred restaurants, high-tech infrastructure and international sporting events…. all this has long attracted tourists and investors to its summit! In 1926, Baroness de Rothschild commissioned the architect Henry Jacques to build a chalet that "looks like a mountain farmhouse but with a very comfortable interior, large windows looking onto the scenery, a real chimney, a porch sheltered from storms and a ski-room for waxing skis". Innovative for its time, this formula proved a success and led to others: today the luxuriousness of the buildings marries perfectly with the mountainous surroundings, and the local charm has won over holiday-makers and crowned heads for nearly a century. 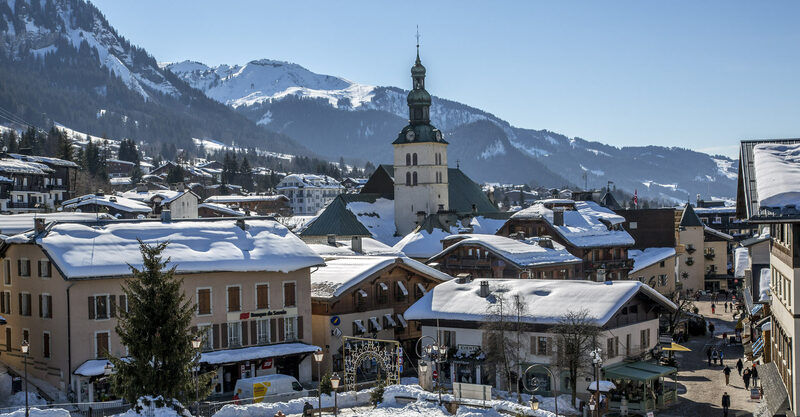 With over 200 brands, 6 schools and an average income well over the national average, Megève is a resort to discover, experience and invest in. This French embodiment of "l’art de vivre" will not leave you cold! Request a selection of Megève properties that meet your aspirations.